Book News: Authors Lose Class-Action Status In Google Books Case : The Two-Way Also: Infiltrating Jane Austen summer camp; Cengage files for bankruptcy; Stephen Fry reads Oscar Wilde. Google scored a victory this week when an appeals court ruled that the Authors Guild and other organizations couldn't collectively sue the tech giant over its digital library project. 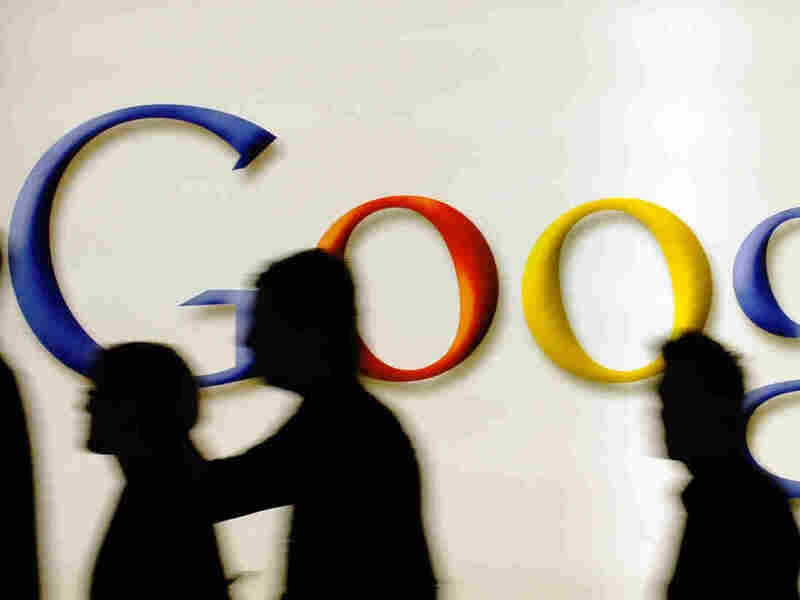 Writers groups alleged in a 2005 suit that Google violated copyright laws by scanning more than 20 million books for its online library without permission, but Google claims that it is fair use to display snippets of books in web searches. With the new ruling, authors may have to sue Google individually. Matt Kallman, a Google spokesperson, said in a statement, "We are delighted by the court's decision. The investment we have made in Google Books benefits readers and writers alike, helping unlock the great pool of knowledge contained in millions of books." "Media strategist" Ryan Holiday says he promoted his book, appropriately titled Trust Me, I'm Lying: Confessions of a Media Manipulator, by using false tips and lies about the amount of his advance to trick media outlets such as Gawker into covering his book. He lays out his dastardly plan on The Observer's BetaBeat blog: "It went like this: I would grossly exaggerate the size of my book advance in a press release and let the gossip mill take this number and run with it. I would encourage bloggers and reporters to speculate that it was a celebrity tell-all about high-profile clients of mine like Dov Charney and Tucker Max. In effect, I'd be using the media's weakness for sensationalism to get them to expose their weakness for sensationalism." Listen to actor Stephen Fry read Oscar Wilde's story "The Happy Prince" in deep, soothing, manly British tones. For Bookforum, Sarah Leonard breaks down the contradiction embodied by the Metropolitan Museum of Art Costume Institute exhibit PUNK: Chaos to Couture: "Punks created these looks out of cheap materials and trash while living in cold-water flats and burned-out buildings, but the couturiers bring such skill and resources to bear on their ideas that, despite the obvious stupidity of calling an expensive chiffon gown punk, one can't help but admire the spectacle. In those of us with a tribal loyalty to the culture, this produces a giddy feeling: thrilling to the looks of a $6,000 jacket, while simultaneously despising its existence." Victoria Barnsley, the longtime CEO of HarperCollins UK is stepping down, and will be replaced, delightfully enough, by Charlie Redmayne, CEO of J.K. Rowling's Harry Potter website Pottermore (where, if you are so inclined, you can brew your own potions and practice the "Jelly-Legs Jinx"). He had worked for HarperCollins until 2008 as Chief Digital Officer. For The Paris Review, Ted Scheinman infiltrates Jane Austen summer camp. From his diary: "E-mails from the braintrust inform me that I am to play Mr. Darcy at the Meryton Assembly on Saturday night, to which end I must shave my beard and attend two sessions of Regency dance instruction, all while perfecting my scowl." The textbook company Cengage Learning said Tuesday that it has filed for Chapter 11 bankruptcy protection. CEO Michael Hansen had warned last month that bankruptcy might be a necessary step, as Cengage was struggling with more than $5 billion in long-term debt as of March.